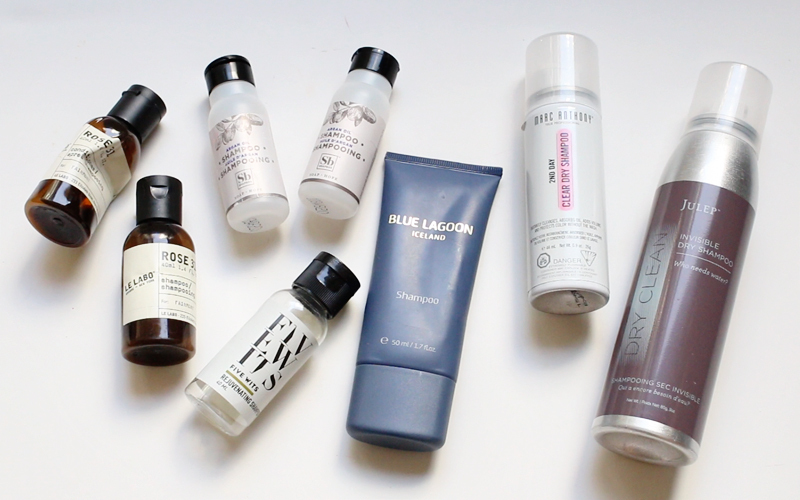 It has been so long since I've done an empties post on this blog! Since I am trying to make my empties videos more succinct, I thought I would go into more detail in a corresponding blog post. Without further ado, here are all the products I finished up in the past couple months. Hair care: Nothing too exciting by way of hair care products. 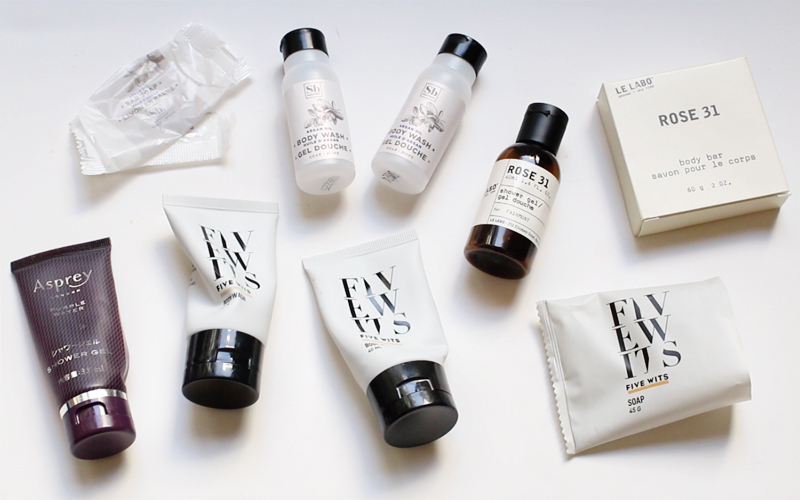 We finished up a lot of travel size products from various hotels. The only brand that stood out was the Le Labo shampoo and conditioner - I love the Rose 31 scent! I also finished up two canisters of dry shampoo spray; however, I prefer powder dry shampoo because there is way more product for the price and it seems to work a little better in my hair. Bath & shower: We finished three mini bar soaps and 6 travel size bottles of shower gel or body wash. All were from various hotels, and again, nothing too exciting except for the scent of the Le Labo Rose 31 shower gel. Bath & shower (continued): The Body Shop Shower Gel is a staple in my collection. I've repurchased it many times and will continue to do so. 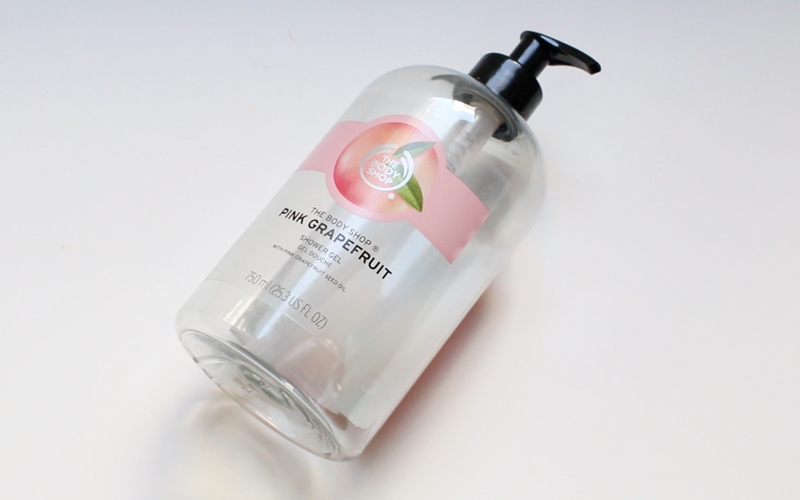 I'm a big fan of fruity scents, so I love both the satsuma and pink grapefruit shower gels; however, I'm eager to branch out and try a few other scents. I love that this product comes in a large 750ml bottle, which lasts me around 7-8 months. 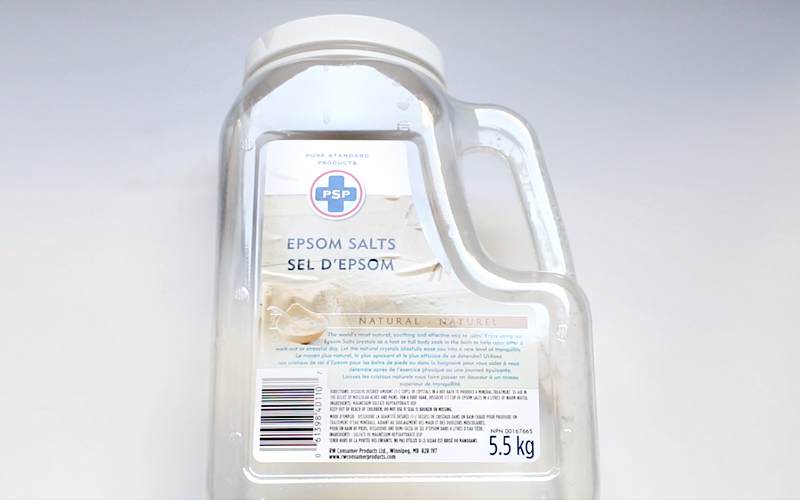 Bath & shower (continued): This huge container of epsom salts is now a staple as well. I notice a big difference in my relaxation level (muscles and mood) after a nice long soak. I dissolve approximately 1.5 cups in a tubful of water, and I try to take an epsom salt bath once a week. I'm now on my third 5.5 kg container. My first container lasted 7.9 months and the one pictured above lasted 7 months. I purchase this product from Costco at $8.99 plus tax and it's worth every penny. Bath & shower (continued): I've been trying to use up my mini fragrances. I save the ones without a spritz top to use in the bath. I typically add up to 1 vial to each bath and the scent is noticeable but not overwhelming. 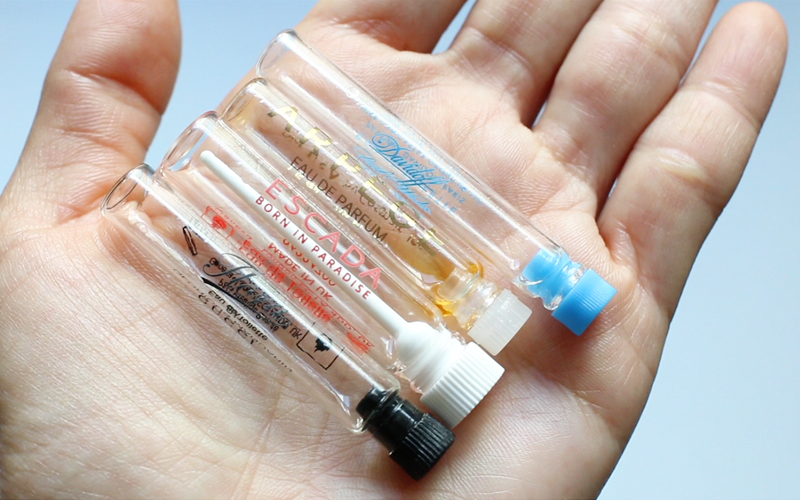 Once I'm done with all my full-size perfumes and perfume samples, I won't be repurchasing this type of product. I found I was developing some scent allergies, so I don't really reach for my fragrances on a day-to-day basis anymore. 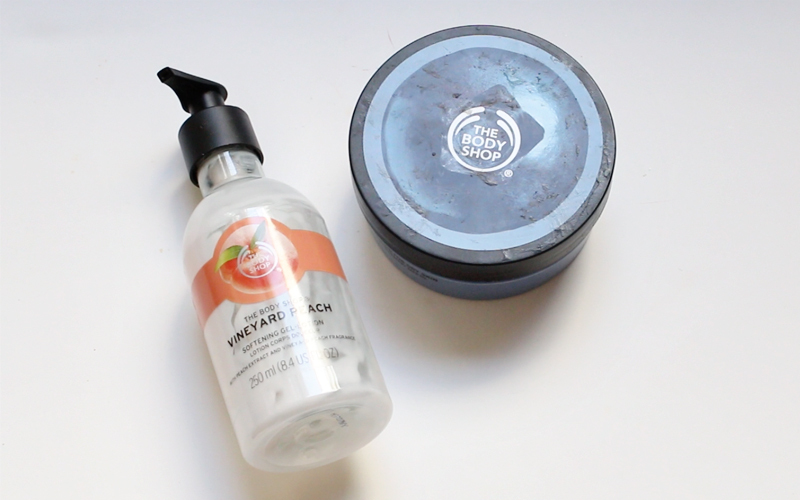 Body moisturizer: Another couple of products from The Body Shop that have made it into my regular product rotation. My favourite lotion to use after a bath or shower is the one pictured above. There are several different varieties (Gel-Lotion or Body Puree) and I like all the fruity scents - the vineyard peach was the latest one I finished and it smells incredible. The texture is light, yet the lotion does a good job moisturizing my skin. It takes me around 2-3 months to use up a 250ml bottle. I also love the Body Butters! I use this product to moisturize my hands and feet before going to bed. The blueberry scent is really nice. It takes me around 2-3 months to use up a 200ml tub. Facial skincare: I finished so many products in this category! The Glossier Milky Jelly Cleanser has a really nice texture, as well as a pleasant but light scent. It does well at cleansing my skin and doesn't irritate my eyes; however, it takes a little effort to remove waterproof mascara with this product. Overall, I still prefer the Tatcha cleansing oil. I received the Skinnygirl Detox Face Mask in a swap a few years ago and I finally used it up. The product is very spreadable so I was able to get a lot of applications from this tube. It is a clay mask but contains oil so it doesn't really dry out your skin. I enjoyed trying this product. The Herbivore Jasmine Green Tea Balancing Toner didn't really work for me. I found it a bit drying. 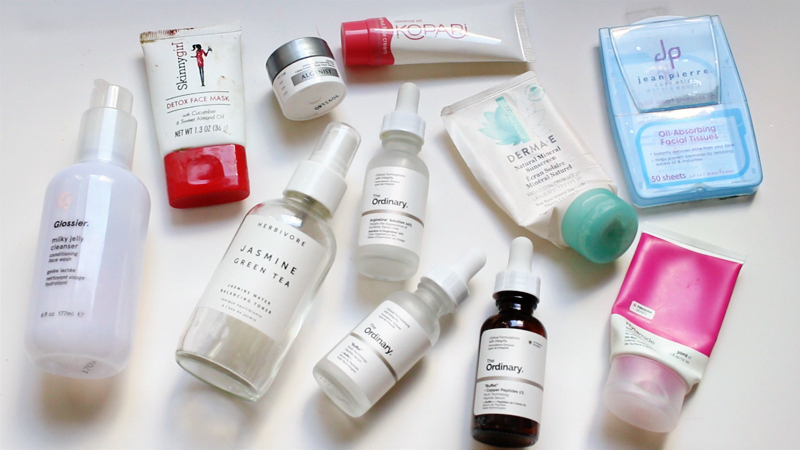 As you may know, I like to rotate through different serums by The Ordinary. The Argireline Solution 10% is a staple. I use it in the morning and also in the evening. I've found that this product has made a difference in the way my skin looks - my fine lines seem to be a bit diminished. I tend to go back to the Buffet serum every now and then but I don't really notice a difference when using this product. It's a bit more expensive than some of the other serums, so I may take a break from this product for a while. I also tried the Buffet + Copper Peptides 1%. This is a significantly more expensive product in The Ordinary's lineup and I didn't notice any difference with my skin. I won't be repurchasing this product. I was really enjoying the Hylamide HA Blur until I noticed some clogged pores around my nose. I've since taken a break from using this product and my skin improved. I'm working on using up my last tube, and I'll probably only use it 1-2 times a week until it's finished. The Derma E Natural Mineral Sunscreen is my favourite at the moment. It's non-greasy and one tube lasts me a long time. I finished up two trial sizes of facial moisturizer and some blotting papers. None of these products really stood out for me. Makeup: Two empty pans!! These contained brow powders from my Benefit Brows A Go-Go kit that I depotted ages ago. It took me a long long long long long long time to finish up, but I'm glad I finally did! Dental care: Dental care has been such a big part of my life since getting Invisalign. Can you believe I'll be on my last set of aligners in a week or so?! I really love the Smart Mouth mouthwash but I believe this particular 2-bottle set is discontinued. I no longer use mouthwash for rinsing, but I do use it to clean my Invisalign aligners once a day. The Eco-Dent tooth powders are my go-to product. 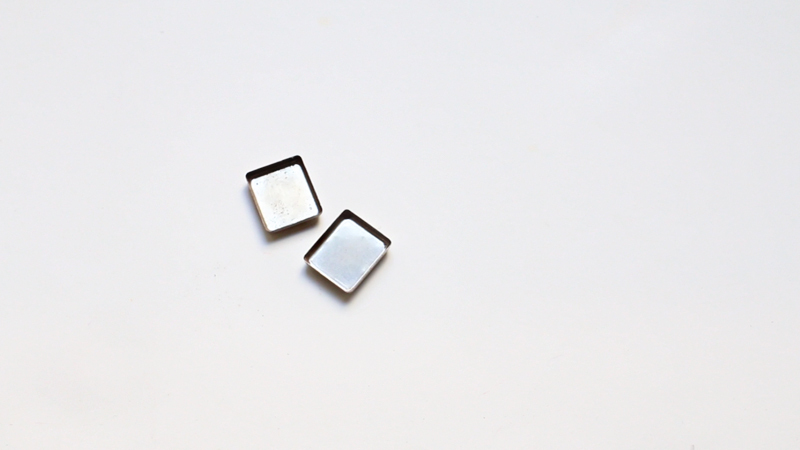 I switch between the Original Mint and the ExtraBrite (pictured above). 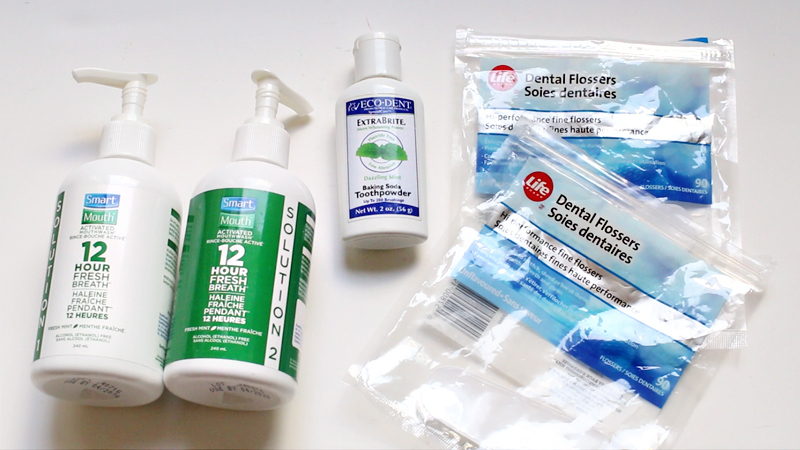 My favourite dental flossers are the unflavoured ones from Life Brand (Shoppers Drug Mart's private label). I finished up 2 packages in the past couple of months. I floss a lot! Miscellaneous: I purchase the Fluffs cotton pads from Dollarama and I love them because they are the perfect combination of soft yet affordable. Hubby and I finished a bottle of Poo-Pourri in the Royal Flush scent. I love the Poo-Pourri products, but I wasn't a huge fan of this particular scent. There were a bunch of mosquitos when my friend and I went to Grail Springs, so I took that opportunity to finish up the Life Brand Insect Repellent that I had kicking around for ages. I came back relatively bite-free. 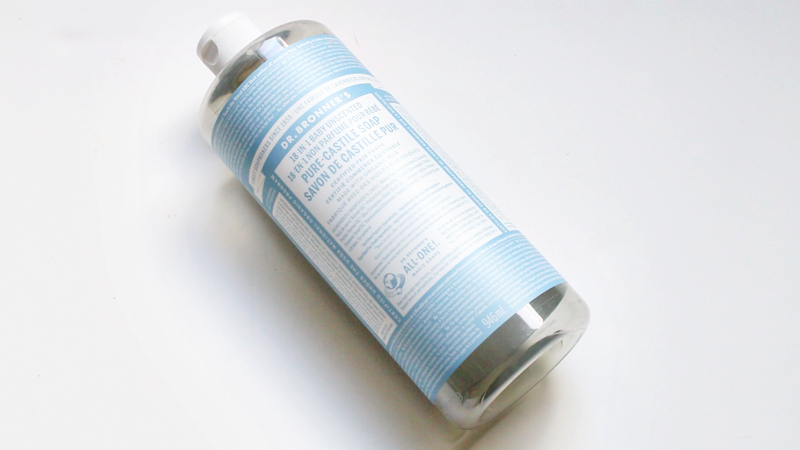 Miscellaneous (continued): Last but certainly not least, we finished another 946ml bottle of Dr. Bronner's Pure-Castile Soap - a definite staple in our household. We use this mainly as hand soap, but I also use it to clean my makeup brushes and my Invisalign aligners. Each of these bottles lasts us approximately 5 months.